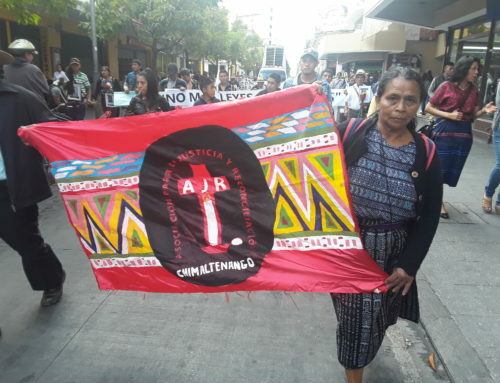 The first case in the world to be tried in a domestic court for sexual and domestic slavery opened in Guatemala City today, for crimes against humanity committed at the Sepur Zarco military base in the early 1980s. 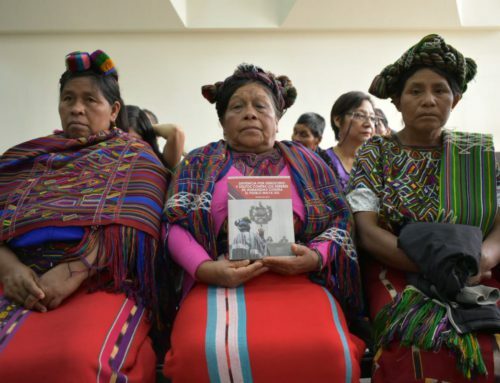 At the national level, this is the first time a court in Guatemala is considering a case of sexual violence to be considered a crime against humanity. Fifteen women from the eastern community of Sepur Zarco gave preliminary testimonies in 2012 to having been forced to take shifts at the military base as sexual slaves in 1982 and forced to cook for the soldiers and clean their clothes. After an initial period of six months, many of the women were forced to continue taking shifts until the base closed in 1988. 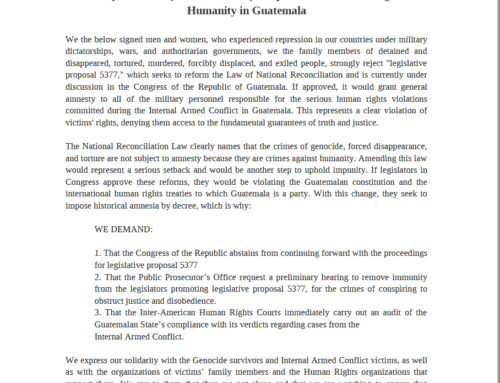 This case has become emblematic for its recognition of sexual violence as a systematic tool used by the Guatemalan military during the internal armed conflict and represents a significant global moment for the prosecution of sexual violence and other gender-based crimes. Former Coronel Esteelmer Francisco Reyes Girón and former Military Commissioner Heriberto Valdez Asig were arrested in June 2014 and are facing charges of crimes against humanity, including sexual violence and sexual and domestic slavery. Valdez Asig is also facing charges of forced disappearance. The stall tactic strategy seen in other cases for crimes of the past was present today in the court room. Moíses Galindo – Colonel Reyes’ defense lawyer, who also represents high-ranking military in other cases for crimes against humanity – attempted multiple times to suspend proceedings by arguing that Judge Jazmin Barrios is partial. Human rights organizations have denounced the defense’s legal approach as a strategy to evade justice and accountability for their clients. Nevertheless, today’s hearings continued with preliminary statements and the presentation of three witnesses by the prosecution. 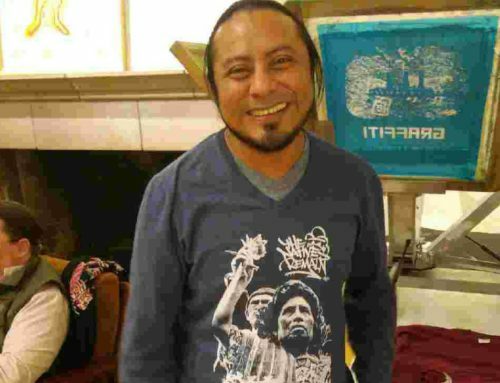 Juan Maquín Caal affirmed that soldiers had forced women to work as their domestic slaves and testified to the forced disappearance of his father, who had been accused of being a guerilla for his membership in an organization seeking legal title to their lands. He and his family were forced to abandon their homes and live in the mountains for fear that they too would be disappeared. Rogelio Hüitz Chon testified to being 12 years old when he was detained and tortured at the Sepur Zarco military base. Lifting up his shirt partway through his testimony, he showed where he still has scars from being tortured and thrown into a pit with two broken ribs. During his testimony, he identified Reyes as commander of the base. Today’s hearing was adjourned after Rogelio Hüitz Chon concluded his testimony. Proceedings are scheduled to resume tomorrow morning at 8:30 AM CST. Click here to read the full press release issued by the Breaking the Silence and Impunity Alliance. 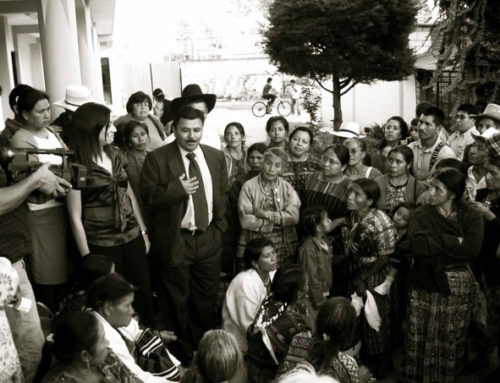 NISGUA continues to observe the Sepur Zarco case and as part of ACOGUATE, provide international accompaniment to the plaintiff organizations. Click here for background information on the Sepur Zarco case and follow @NISGUA_Guate on twitter for live trial coverage.